Happy Tuesday folks! I have to apologize for my blogging as of late. I feel like I’ve been in a rut of sorts. Not just with blogging, but with several things. Y’know, the feeling of just going through the motions? I hate that feeling. I think sometimes its good, but other times not so much. I have this feeling that I’m supposed to let go and experience something different, but I don’t know what that is. Geez…I’m only 28 but I’m feeling like I’m facing a mid life crisis. As far as blogging I just really need to be on top of content during the weekends- that’s the best time for me to really collect photos and do fun stuff! During the work week it can get difficult to remember to take photos or really be able to at all, especially with my running Tuesday through Thursday. I think I just need to make a list of things to do and work my way down! My wardrobe has been feeling especially blah lately. Any of you ladies have suggestions for a case of the wardrobe blues? I need to figure out new ways to wear tops and things because I get bored with them so quickly. I also maybe need to go shopping. 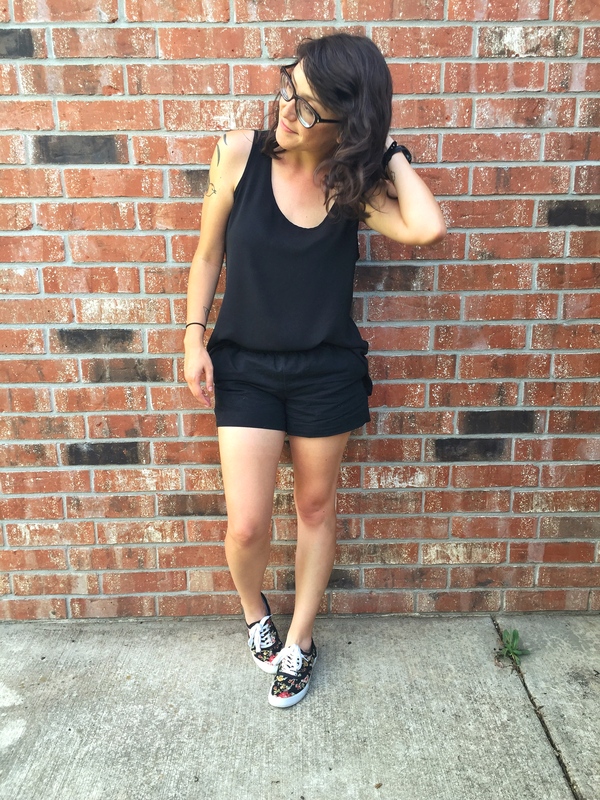 I would love to hear any of your summer wardrobe tips or outfit ideas! What do you do when you get bored with your closet? Loving this super adorable yet casual look. Perfect for summer! Thanks girl- I really need to get back into a schedule! I hope your feeling of ‘going through the motions’ goes soon, although I suppose that’s still a world better than feeling bad.. so you’re doing well on that front! 🙂 Also, whenever I feel like I’m in a wardrobe rut, I tend to treat myself to one really luxurious accessory so that whatever I wear needs to match up to it! It’s so true! I only take photos during weekends and set up my posts then so I can focus during work/school week! So far so good, save for a few mishaps. I love your outfit by the way, it’s gorgeous! 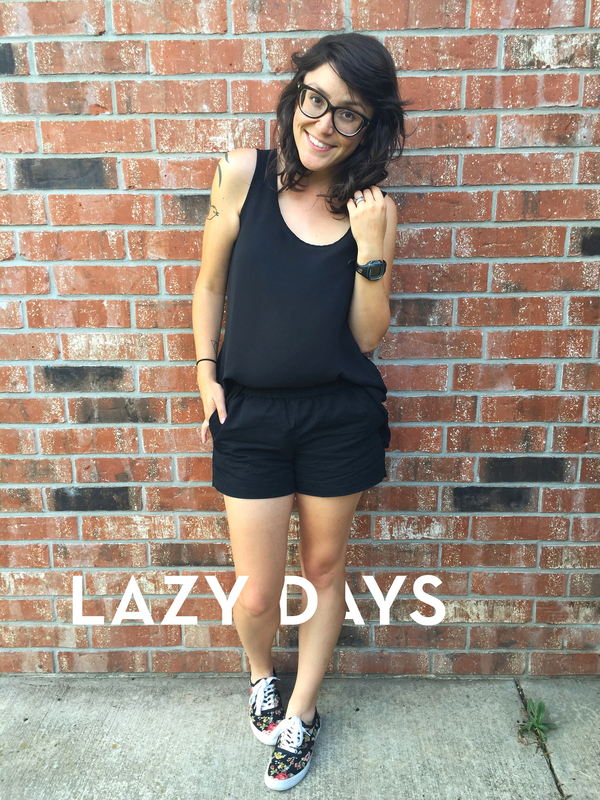 Super cool all black look for summer days! I’m so minimal when it comes to summer wardrobe. One of the things I’ve really gotten into are semi crop-tops. They’re the ones that don’t necessarily show so much skin. I’d say that the only skin that is exposed is when I stretch. There’s literally about a centimeter gap between the bottom of my shirt and the top of my shorts. I love keeping tops like those loose and flowy to allow for more movement. It also creates the illusion that I have curves. You look so young! Get some summer dresses. They’re a full outfit, in just one piece. I’m lazy and I love it. You’re sweet Tegan! I really do need to buy some dresses…I seriously have maybe 3….yikes! How I helped my wardrobe blues, was to invest in certain pieces that added to my wardrobe overall. Meaning, I could style it anyway I wanted and it the quality will allow it to last for awhile. Especially when sales are coming for the back to school crowd ;). Great photo. Happy Tuesday to you too! ❤ I can completely relate to just "going through the motions" when it comes to blogging (and everything else in general), which is why I take little breaks from time to time, especially since I've had personal issues to deal with lately. I hope that feeling goes away soon! ❤ I know it's not pleasant. My only wardrobe suggestion is to accessorize! 🙂 I found myself getting a bit bored with my summer wardrobe, and I bought some new jewelry pieces and shoes & I'm amazed by how they can completely transform an outfit.